A royal celebration is in order, because the ponies have discovered that they are all real princesses! The fairy tale has come true â€“ for everyone! 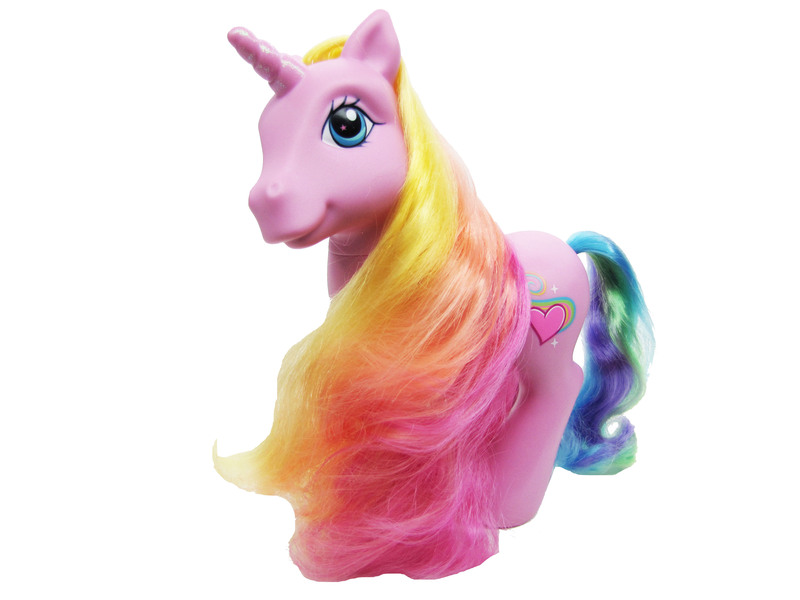 The beautiful PEARLY PIE pony was born in December and her favorite color is gold! She loves to enjoy tea and cookies and her favorite thing to do is fly as high as the clouds! 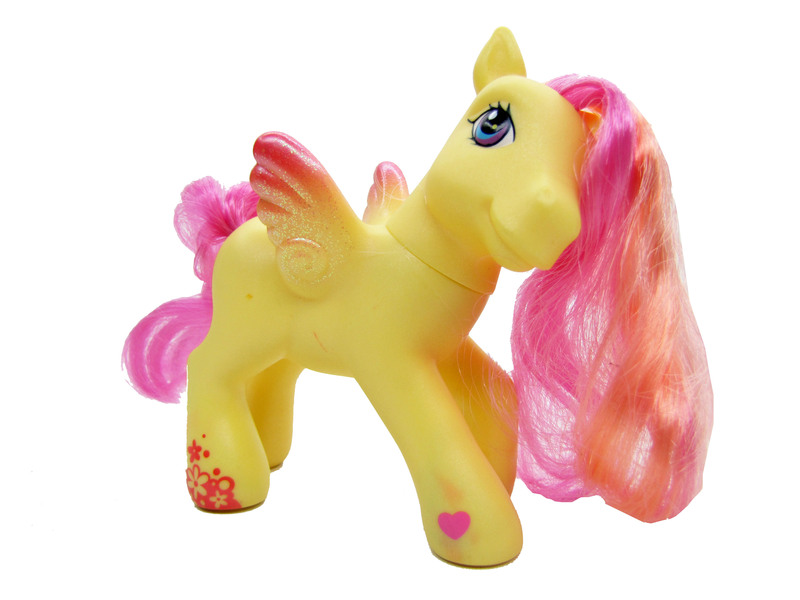 Stunning yellow Pegasus pony figure has cascading tri-colored hair.